Did you know Petplan donates 10% of all premiums generated by The Stafford Trust to us? 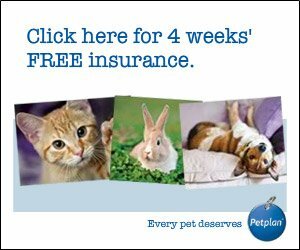 Click here to find out more about Petplan insurance. The Stafford Trust was set up as a registered Charity no. 1111698 in 2005 from money left in bequests from the owners of Rescued Staffords. Its primary objective is of course to assist the breeds Rescues in their work with abandoned or injured Staffordshire Bull Terriers. For more information please email thestaffordtrust@yahoo.co.uk. If you would like to donate to the Stafford Trust via Gift Aid there is a downloadable form by clicking here. In February 2006 one of the most horrific cases of animal abuse was brought to our attention after an incident occurred on Handsworth Golf Course in Birmingham, England. A Staffordshire Bull Terrier was doused in a flammable liquid and ignited. The injuries were fatal. Death being a particularly agonizing experience for this poor creature. Many lovers of the breed have contacted us already asking what can be done. At a meeting in Carlisle on Sunday 26th February 2006 it was decided that a fund should be set up with a view to offering it as a reward to present to anybody who can give the information that the Police need to secure a conviction for this heinous crime. or if you prefer confidentially on 01229 465791 and ask to speak to Bob Whittall of the NSBTR. The link below will take you to a very graphic photograph. Please consider carefully before letting children view this link. If everyone who loves Staffords contributes just £5.00 to this reward we hope to create a very serious amount of money that will be enough to tempt an informant to come forward and give this person away. PLEASE COME FORWARD AND HELP.